We are pleased to announce that our Water Source Protection Plan for the Dundee Public Water System (“PWS”) has been endorsed by the Ohio EPA. The Dundee PWS is one of four water systems owned and operated by the County and serves approximately 400 people in the unincorporated areas of Wayne Township. 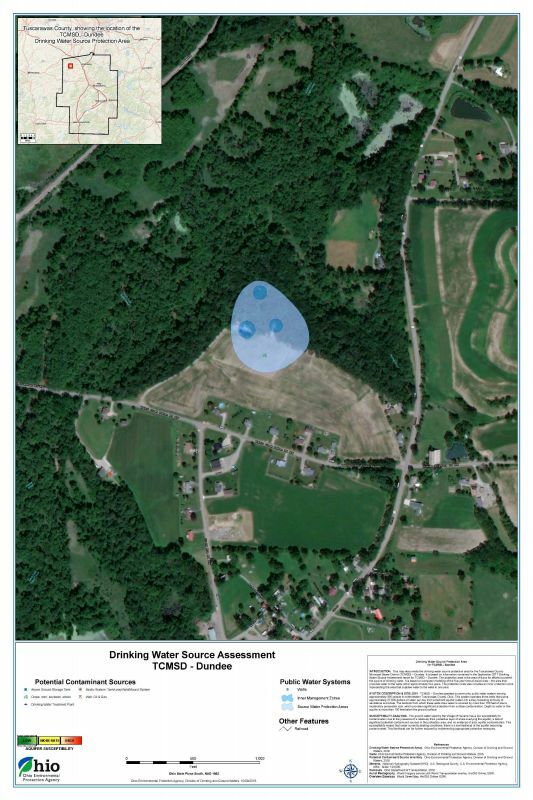 We have developed the Source Water Protection plan to document the strategies that will be implemented to protect the aquifer that supplies the Dundee PWS drinking water from land-based contamination. Components of the protection plan include: contaminant source control strategies, education and outreach strategies, contingency plan updates, and an evaluation of ground water monitoring needs, if any.